“My heart is warmed as I think of our short time in Kenya. We’re home safely after a truly inspiring and amazing time in Nairobi. Words greatly fail to express the honour it has been to share and exchange knowledge with you all, how your people have welcomed us with kindness and how we have been blessed to have been with you. This experience will be cherished. I am so thankful to both Robin Marcel Moustache and K.b. Amos for inviting us to be a part of the Nairobi Guitar Festival and host the Art of Guitar workshop at The Kenya Conservatoire of Music. This trip will be forever engraved into my soul and I thank you with all my being for all you both have done. To everyone across the globe involved in making this happen, thank you so very much. Without your support we would never have been able to make it to Kenya. The time approaches- Kenya, get ready! Soon I’ll be packing my bags, loading my gear, and catching a plane to Kenya for the Nairobi Guitar Festival in October this year where I’ll be hosting a workshop called: “Art of Guitar”. This is the first edition of an all ladies led workshop to be held at the The Kenya Conservatoire of Music in Nairobi. Joining me on my travels is my close friend and band-mate from Sistas of Metal, Tamla McMahon, who too plays a wicked guitar. Together, the we will discuss a range of topics touching on music business, gear, playing techniques & composition. Having worked together with years of experience playing the guitar, we hope to bring an insightful and fun experience to the festival and look forward to seeing you all there. Guests (both genders) are welcome to the workshop which is free & open to all and one can expect piece recitals by Maryolive, Rish, Zikki and Miriam on the day as well. Join us for a moment in history and let’s change the world together! The first ever ALL FEMALE musician workshop to be held at Mars Music in Boksburg. Our line up features 3 of South Africa’s top female musicians who will be presenting an intimate insight into their skills and abilities on their respective instruments. Robyn Ferguson form Adorned in Ash, Sistas of Metal, GnR tribute, AC/CD vs Deep Purple tribute, Alice cooper tribute, Alizarin, and more. Taryn Lee Young from Asila and more. Tamla McMahon from Tamla Kahn, Sistas of Metal and more. Join us in-store and have your minds blown. From the person who brought you the show stopping Led Zeppelin Tribute show and Guns N’ Roses & Friends Tribute, Jason Oosthuizen is back with his third new show, AC/DC vs Deep Purple Tribute. The amazing line up that will be performing the best of these two bands will include Dean Barrett from Dan Patlansky band, Werner Bosman from Jesse Clegg, Jason from Van Coke Kartel, Marcel Dolmayda from The voice SA, Robyn Ferguson from Adorned in Ash & Sistas of Metal and Jow Feldman from The Narrow. AC/DC and Deep Purple are two of Jason Oosthuizen’s favourite Rock n Roll bands from the 60’s and 70’s and this show will bring you the ultimate night of rock n roll with some of their greatest hits. If you’ve been to one of the Led Zeppelin Tribute or Guns N Roses & Friends shows, you will definitely agree that the standard of shows that Jason puts on is top class and not to be missed! Book your tickets at Barnyard HERE now! Illusion Tributes presents a Tribute Show that is a feast for the mind and ears. We will be paying tribute to two of the biggest, baddest and most relentless bands to ever grace this planet, Alice Cooper & Motley Crue. This will be a night you will not soon forget with extremely talented musicians playing all of your favourite Alice & Motley tunes. We plan to shock you, rock you and have you leaving wanting more! Join us on the 8th of September at Rumours Rock City. Your first member announcement is the extremely talented Robyn Ferguson known for her heavy riffage and waling screams in Adorned in Ash and Sistas of Metal. She has also been keeping busy with some live session playing and is proudly endorsed by Ibanez – South Africa. Look out for Robyn’s shows and give her Robyn Fergusonpage a like. We are very excited to have her be part of the Alice Cooper Tribute Show! Keep your finger on the pulse and see all that’s happening with Robyn in July! Rehearsals for the Guns ‘n Roses and Friends Tribute Show have begun and things are looking good for the upcoming string of shows spanning throughout the year. Be sure to keep your eyes peeled for the date announcements and get yourselves ready for some good ol’ Rock ‘n Roll. The first show of many will be on the 20th at Cresta Barnyard. Robyn will be hitting the stage hard with a double performance on the 21st of July at the You Matter – A Tribute To Chester Bennington event to be held at Sundowners Alberton. She’ll be performing with Adorned in Ash as well as hitting the stage in a special guest appearance for The Band That Doesn’t Exist. Sad news of Colin Deacon parting from Adorned in Ash this past week has not taken the wind out of the bands sails and AiA is due to hit the studio again to complete their long-awaited second album. Catch the band at Sundowners Alberton on the 21st of July. Robyn is due to host a guitar clinic at the Nairobi Guitar Festival in Kenya this year and has started work on a few new solo projects and collaborations. There are also whispers of a collaboration happening between Robyn and one of the ladies from Sistas of Metal but things are still pretty hush as to what will be happening, so stay tuned for updates. News of her Elixir String endorsement earlier this month is still making waves and we’re left wondering what’s next?! *ANNOUNCEMENT* Robyn and Elixir partner up. ELIXIR STRINGS South Africa announce new string endorsee and partnership with Robyn Ferguson. A great partnership has been forged between Robyn and Elixir Strings this past week. We are very proud to announce that she is now an official endorsee and brand ambassador for Elixir Strings. 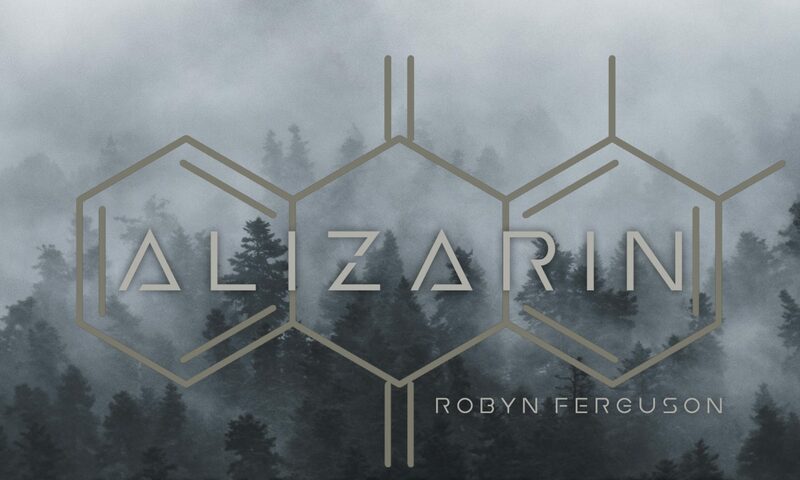 Robyn has been using Elixir Strings for over a decade and will continue to further the brand though her upcoming performances and projects both locally and internationally and you can look forward to a great adventure with her. This follows a recent Ibanez Guitar endorsement as well and seems dreams can become a reality if you truly put your mind to it. Here’s a quick play through video of our track “Broken Glass Reflection” off our album “The Dead Walk Among Us”- Enjoy! After the Led Zeppelin Show reaching such huge success, Jason Oosthuizen is back with a whole new show and band that is said to be one of the best shows yet. With an amazing band including two members from Dan Patlansky band, Werner Bosman from Jesse Clegg who also starred in the Led Zeppelin show, Jason from Van Coke Kartel/Lost&Found, Marcel Dalmayda from TheVoice SA and last but not least Robyn Ferguson from Adorned In Ash/Sistas Of Metal to round up this killer lineup this show will definitely keep you entertained. Guns N’ Roses & Friends brings you the ultimate night of rock n roll with some of the greatest hits from Guns N’ Roses, Whitesnake, DeepPurple, Journey, ZZ Top, Billy Idol, Ozzy Osbourne and more! Book your tickets via The Barnyard Theatre HERE now! Thank you all so very much for your continued support! The page just passed 5000 “Likes” on Facebook! Thank you to each and every one of my friends, family and fans around the world for your continued support. I would be nothing if it wasn’t for your words of motivation, kindness and encouragement as well as your belief in me and my dreams. There’s so much more to come on this epic journey, and I’m so excited to be going at it with you all at my side. I’m left speechless at the constant flow of encouraging messages and I’m so grateful to you all for being a part of my life. Work continues on the Adorned in Ash album and soon I’ll have a string of dates to announce with a project I’m honoured to be a part of. So, please keep faith in the mission, please don’t stop believing, truly awesome thing are coming. This is just the beginning.